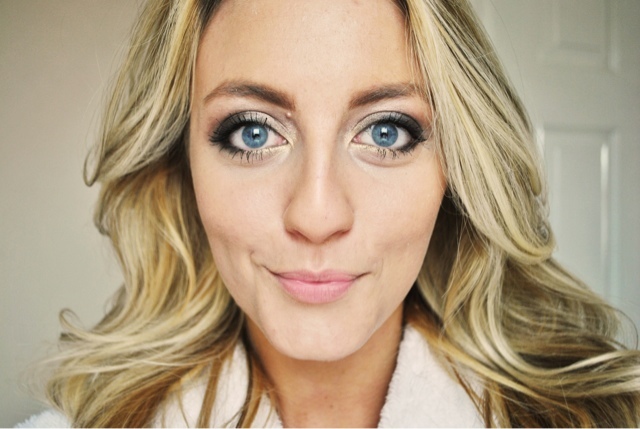 Superdrug Bloggers Competition Entry - The Classic Smokey Eye. 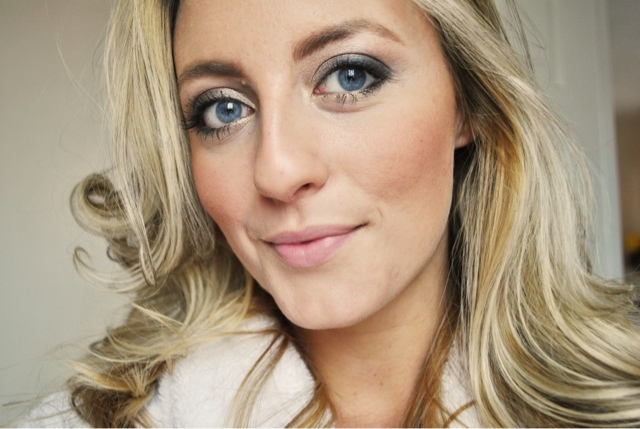 This blog post is to enter into Superdrug bloggers competition. The look I am going for is a smokey eye. A smokey eye never fails. 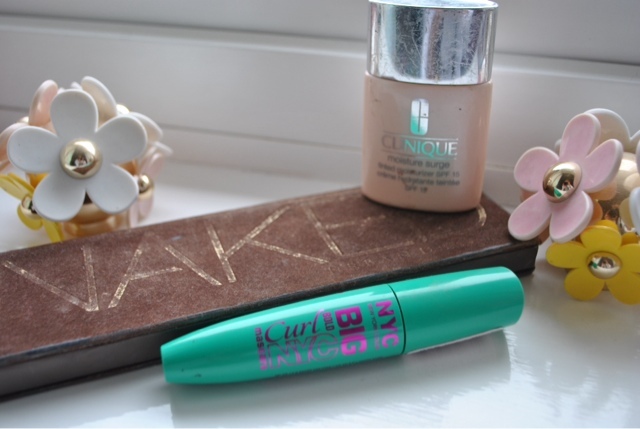 NYC Big Bold Curling Mascara, Urban Decay Naked palette one and Cliniques Moisture Surge foundation. I have reviewed these products in previous posts so make sure to check those out as I won't be going into that much detail. STEP ONE: apply foundation with fingers or brush, fingers are said to warm the foundation to it goes onto the skin better but brushes help make it go further and get into those creases better. 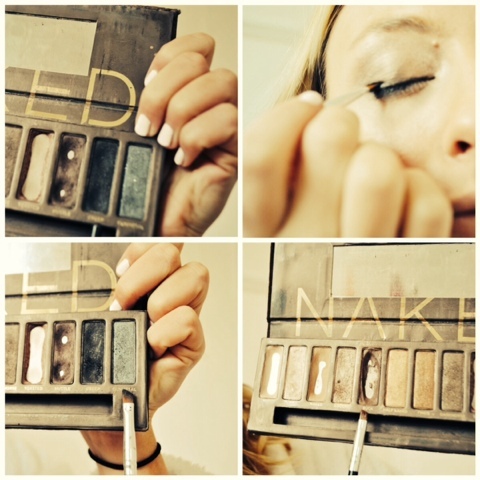 STEP TWO: From the Urban Decay Naked Palette start off by using the shade 'Sin' and apply this all over the lid. This is a shimmering pink colour to help highlight and is good as a base colour to build on to. Don't forget to apply this up to the brow as it helps highlight the brow arch. STEP THREE: apply 'Sidecar' to the whole lid, but don't go above the crease. This starts to apply a connecting colour that will pull it all together and make sure there is no step or line where you can see a change of colour. Again is a shimmer, more of a light brown. 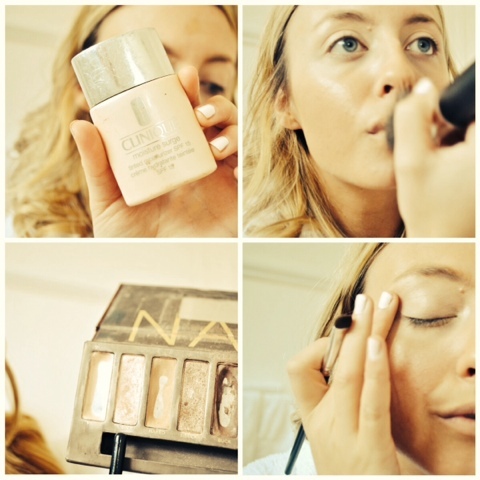 STEP FOUR: use shade 'Toasted' and apply this in the crease of the lid to create depth. Only apply it on the outer half of the eye. Toasted has been my all time favourite colour (if you can't tell already as it's nearly ran out!). It's a shimmering bronze colour with a pink shade to it. STEP FIVE: take an angled brush to create an eyeliner type line along the lash line with shade 'Creep' which is a shimmering black. Start to build it up by just going over it a couple of times but each time go above the previous line. This is to render it and blend it in. It might help to dab your finger in the colour and go over the lines just to make it blended more. You also want to apply this to the bottom lash but only on the outside half. STEP SIX: with the same brush, use shade 'Gunmetal' and draw a line above the lash line with this colour, I love the black and this silver colour together so it just brings it all together and gives it a gradual colour. 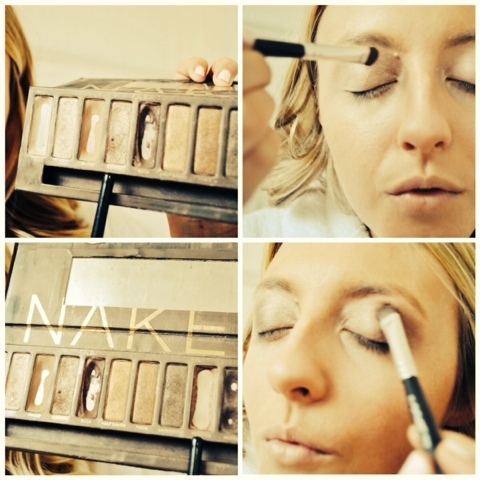 STEP SEVEN: I use 'Buck' to colour my eyebrows in with but if you like your brows lighter then use 'Naked'. 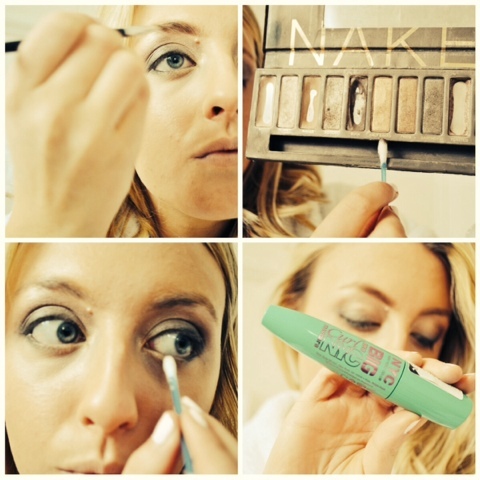 Make sure you use brush like strokes to make your brows look more natural. The. You want to go over your eyebrows with an eyebrow brush. STEP EIGHT: take 'Half Baked' which is a shimmering gold and dab a cotton bud end into it because a cotton bud is the best makeup brush I think! And use this to line the insides of your eyes. By this I mean the top half nearest to your nose and same with the bottom half. This acts as a high lighter and it just finishes the eye off. Apply as much or as little as you want. 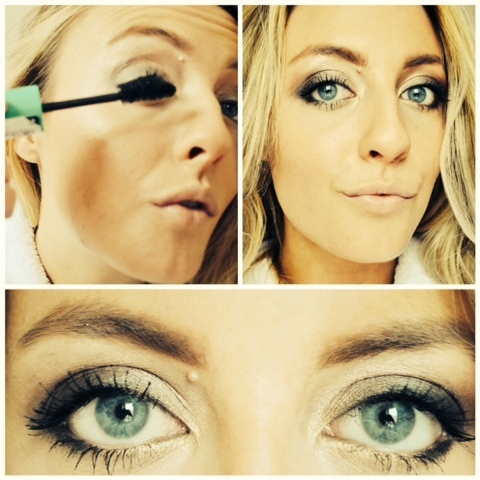 STEP NINE: I am using NYC Big Bold Curling Macara as I am totally loving this at the moment. When using a curling mascara that has a curled brush, then always use it so the curl is upwards so it looks like a smiling mouth not a sad mouth as it doesn't help curl if it's downwards! Little tip for you there :). Apply as many layers as you like depending how thick you like it. STEP TEN: Enjoy! That is your smokey eye finished. Obviously if I was allowed to use more products I would have used eyeliner, bronzer and blusher. So here is a picture to show you what the finished look would be like. Hope you like this look and if there is any looks you want me to try then let me know in the comments and I will try and get those done for you. Just seen yourve won, congratulations!